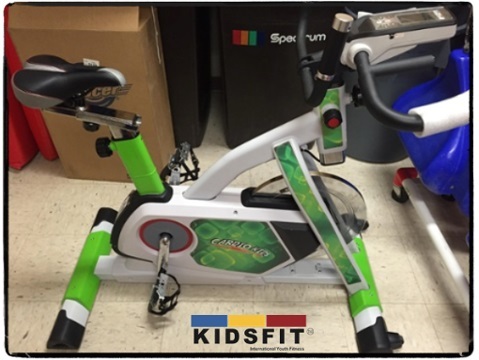 New 2014 Elementary Model 658 Cardio Kids Indoor Cycle Bike comes in a bright green color or custom with your school/facility colors and logo. Fully adjustable child sized "cycling" bike. This bike is designed to fit grades 3 through 6. Children's cycling bikes have adjustable toe clips, seats, and handlebars. Kids will love this bike! Portable wheels make it easy to keep these bikes in storage when not in use. L= 48" X W=24" X HT= 48"
Call 1-800-875-9145 to speak with one of our fitness advisors with any questions you may have. 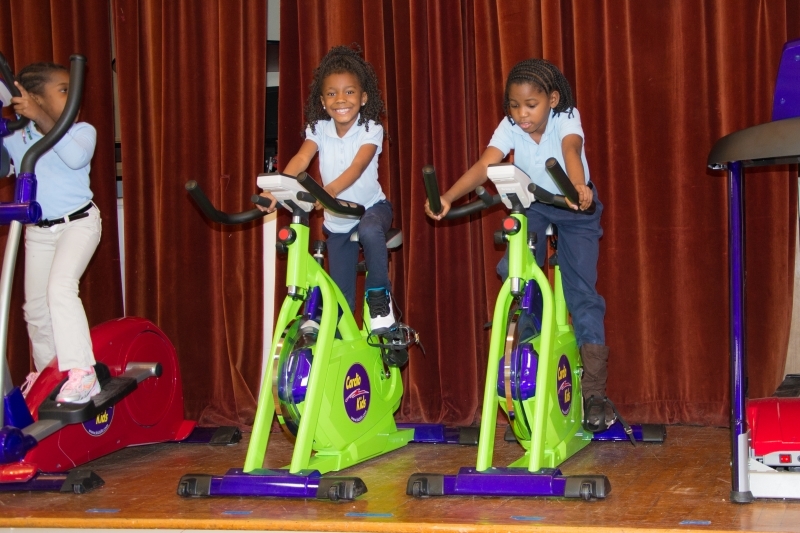 How do we put a price on our kids overall wellnes and their future - Go to FitnessZone.com today to order the Cardio Kids Indoor Cycle Bike 658 Elem and let's give our kids the advantage they deserve. includes 15 Bikes and Programming Group of fully adjustable child sized “cycling” bikes. These executive bikes come in bright yellow or purple-red graphics. Package comes complete with lesson plans. Available in both Elementary and Junior sizes. Please specify when ordering. includes 10 Bikes and Programming Group of fully adjustable child sized “cycling” bikes. These executive bikes come in bright yellow or purple-red graphics. Package comes complete with lesson plans. Available in both Elementary and Junior sizes. Please specify when ordering. Order your Cardio Kids Indoor Cycle Bike 658 Elem from FitnessZone.com today!